Looking for something creative to enjoy, but don't have any drawing skills? In this unique adult coloring book, you create the line art and stunning visual works with the assistance of a few numbered dots. 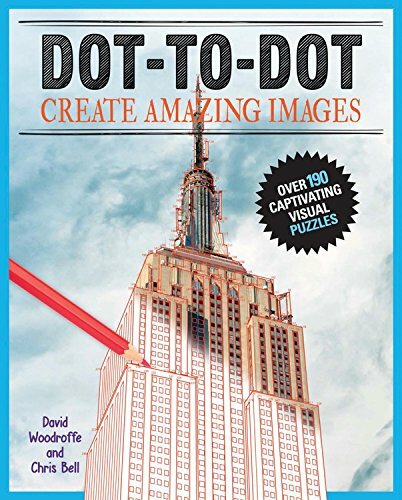 You don't need to be an expert to complete these amazing dot-to-dot puzzles. There are 200 images to create ranging from iconic buildings, oriental artwork, and mythical creatures to well-loved characters from film, TV, and literature. Watch each connection you draw build an image for you. Line-by-line, dot-to-dot amazing a work of art is created before your eyes. Success through concentration helps build a deep love for this activity. These exciting visual puzzles are bound to capture the imagination.